In the last five years that Manchester United have failed to win the league title, a few at Old Trafford will say we deserve the title. A collection of bad managers, players past their prime and bedding in process have limited us. We have seen Chelsea win the title, finish tenth, and become champions yet again. We have also cast envious glances at our noisy neighbours, Manchester City win the league back in 2014 under a manager like Manuel Pellegrini after they pinched the title from Liverpool’s grip. Now we are ready to reclaim our title and we have the perfect manager for that in Jose Mourinho. No top class manager loves a challenge like this than the Portuguese tactician. Arrive at a club that have underachieved and through sheer force of nature, turn that club back to a dominant force. United have been in blistering form all season and only a better goal difference has seen Pep Guardiola and his band of players sit at the summit of the league table. The problems of beating smaller teams that we suffered last season are no longer visible, replaced with ruthlessness and ruthless dispatching of those teams. Everything is looking good for us, but this month and the next will show how far we have come since the end of last season. Tough trips to Liverpool and Chelsea will highlight our title credentials but the squad is quite deep to navigate all the matches. It is surprising that last year’s Player of the Season, Ander Herrera has barely played this season. Not because he has gone bad all season, it has been the form of the likes of Nemanja Matic, Paul Pogba and Marouane Fellaini that have limited his game time. 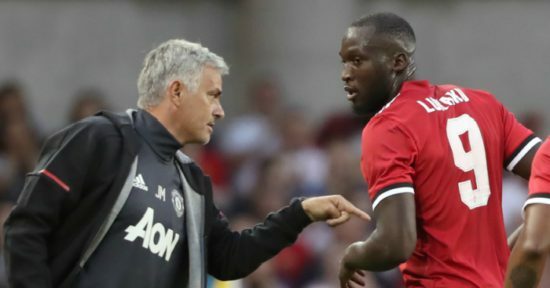 It is a known fact that Mourinho always wins the league in his second season at every club he has managed so far, but the likely obstacle that may hinder that remarkable run will be injuries to key players. The likes of Fellaini and Pogba are out injured, which may affect the team but United still have Herrera on the sidelines, ready to prove himself and ensure he is an undisputed starter once more. United are on a path to redemption this season. Mourinho will love nothing more than to get the better of his two biggest rivals, Antonio Conte of Chelsea and Pep Guardiola of City, though injuries will have a say on that. However, Mourinho is a man that adapts to situations and will most likely triumph. The problems of last season have been addressed and come May, a 21st league title may be on parade at Old Trafford. The signs point towards it.